Garda Review in 2006 (UnEdited Version). An Garda Siochana is the Irish Police Service. The Garda Review is a monthly journal issued to over 20,000 readers on a monthly basis through the Garda Representative Association. The work of An Garda Siochana can be highly stressful at times, and is one of the few jobs where one continually faces the effects of murders, violence, accidents and serious personal injury. Some of the duties of Gardaí can be inherently dangerous and others can suddenly become so. You can witness scenes of great trauma and are exposed to personal danger; routinely – yet it is evident that these incidents are handled and dealt with in a professional manner. Occasionally a particularly bad episode or incident may linger and present problems for the individual. Even the most ordinary and mundane of jobs can become stressful at times. Members pledge an oath to conduct your duties without fear, favour, malice or ill will towards others. This in itself is both an honour and a burden, and carries with it a responsibility that goes far beyond the typical nine to five working day. When you look around and ask yourself, does the responsibility of your position equal the level of support you receive? If you believe it does then you might like to stop reading now. It is my belief that An Garda Síochána requires a stand alone comprehensive therapeutic support service designed for members of the force; a service that offers each member and their families if required the opportunity to express any concerns and difficulties they may have. A service that will if possible attend scenes of trauma to provide you with support and information on accessing appropriate support, that will help co-ordinate or offer debriefing sessions along with your peer support service, all with confidentiality that meets strict professional standards. This proposed service should represent a collection of on-going identified issues and present them to Garda management in order to bring about positive and lasting change for each individual member of the force and the organisation as a whole. I propose that all members who suffer trauma should be mandated to attend such therapy as a matter of course, in this way the stigma that exists within AGS in relation to therapeutic intervention will be lifted completly. I base this belief on research I carried out in October 2004 into The Need for a Confidential Support Service within An Garda Síochána, and on such research as the Health, Safety and Welfare in An Garda Síochána, commissioned by the Garda Representative Association (GRA) in 2003. The latter highlighted many health and safety concerns throughout the force. I also base this belief on my experience, as I have worked in the caring profession for over twelve years - gaining extensive first hand experience of having to work through crisis and trauma, and over many years as a qualified therapist I have worked voluntarily with and helped people who suffer stress, Anxiety, False Allegation and Isolation in the workplace and life in general. The services that I am recommending are not only important to the overall health and welfare of each member of the force but is also a service that will benefit the organisation, as a healthier workforce makes for a better service all round. “One way of anticipating risk and providing relief from stress is to offer counselling services”. The research that I carried out was based on issuing a number of ‘stations questionnaires’, and interviewing a number of officers at a face to face level. I received a 91% response to my questionnaire, it is normally expected that a survey of this type would receive a level of around 5% response, the level of time and energy each of those surveyed took to express their concerns made for alarming reading. Of those surveyed, 68% said they would use a confidential support service if offered one and 75% of those interviewed said they would also use such a service. Another question asked how you cope with stress? Nobody indicated they would seek support from senior officers, 36% indicated they have ‘a few drinks’, 29% said they would talk things through with their family or partner; while 41% indicated that they just get on with the job and hope it will pass. All appear to be ways of coping with the stresses of the job - but some will in fact add to and may even compound such issues. This does not reflect the difficulties families may have in helping a member through such times of stress and upset. With 83% of those questioned in the survey said they felt fearful when working, all of those interviewed said they too felt fearful when working. Fear is a natural response to identified potential dangers. Another question asked ‘do you feel isolated from the public?’ and this yielded a 71% response indicating ‘yes’. This in itself directly affects the mission of the Garda as a service for the public. It is a Garda’s mission to protect the personal dignity and human rights of the community. Surely each member should be respected and have their dignity protected as well? The study commissioned by the GRA into the Health, Welfare and Safety in An Garda Síochána showed a damming picture of working conditions in ten stations throughout the country. Poor working conditions and environment will add to the level of stress, unhappiness and isolation. The nature of the job is stressful; most would be aware of this before joining and I am sure that it becomes increasingly more obvious as the career progresses. However, this does not take away from the fact that such an obvious stress-filled job should have sufficient and proactive counter measures of support through these times that cause concern. All of those interviewed said the job had become more stressful since they joined the force. In the case of Gardaí this demand may be the constant and real threat of violence and the changing needs of the working environment. Working time can be perceived as times of quiet boredom through to times of crisis and trauma. It’s the changes in environment that results in the body having to adapt; these changes are immediate and automatic and the resulting stress can help the person to perform and meet the challenges presented - or it can be negative and present in the form of distress which can make someone upset and unwell. The reaction humans have to stress results in chemical changes in the body, the stimulant hormone adrenaline increases that pours into the blood stream with other hormones producing changes in our bodies designed to protect us, this can be seen as the ‘fight or flight response’ - it provides both the energy and strength needed to either stay and fight or to run away from the perceived danger. Gardaí can face this response several times throughout each working shift; which I believe can increase the negative affects of stress. To control and help this there have to be changes; change in behaviour, beliefs, ways of thinking, lifestyle and subsequently environment. When we deal with the causes of stress we can help elevate it, in the case of members of An Garda Síochána, one way of helping is to provide a service that allows the individuals a safe and secure place to work-through their perceptions and difficulties. This in turn can help to relieve the problems and symptoms and also help develop the understanding, awareness and coping skills of the individual, helping them to be more readily able to deal with the everyday and real stressors of the job. The issues of stress and therapeutic support in police work are considered to be vital in many police forces throughout the world. In the UK they have a number of welfare associations catering for the needs of their officers. In the majority of forces throughout the UK there are internal counseling and therapeutic support services offering confidential support to those officers in specialist roles - and all serving members. These services are supported and funded by management and government alike. In Sweden the welfare and well-being of rank-and-file police officers is vital to their modernisation process. They realize the high-risks associated with the policing profession. In September 2003, the National Police Board in Sweden outlined the need for psychosocial support for police officers and recognised the immense need for both crisis support and preventive measures in catering for the welfare of its officers. They realized that policing has an inherent risk attached to it that can’t be minimized, but they have increased their efforts and time into developing support services and therefore prevent and minimizing the detrimental effects of such situations. In An Garda Siochana there is a committed team of only seven welfare officers; one sergeant and one inspector assigned to the welfare needs of over 12,000 members. This level of support is considered by management to be sufficient and consider the welfare needs of those working through such difficult situations to be well served by this complement. This will highlight the need of both the management and government to take the issue of welfare and therapeutic Support more seriously. Hopefully this will add an incentive to move in line with the many police forces throughout the world - and that this will happen before officers here suffer enough to seek compensation like their colleagues in the North. My research indicates a belief by some that members are not being respected, understood, appreciated or supported by management. One Garda anonymously stated, “Abused by the public, used by the state and hated by the media; while doing a job that none of them would do.” This embodies a view of a service that is in need. World Health Organization, Ministerial Conference on Mental Health. The role of policing appears in general to be tough, strong and insular. Of those surveyed 71% said they would have difficulty sharing the issue of stress with their colleagues. This inability and difficulty for some to ask for support continues to perpetuate the perceived culture that you don’t need support. Sadly this attitude is old and redundant and it is up to you to change it. In the words of Martin Luther King, Jr. “The ultimate measure of a man is not where he stands in moments of comfort and convenience, but where he stands at times of challenge and controversy”. Were do you stand? Hoping it will pass, drinking or talking with friends or family. In my survey, 76% said they never feel supported in their jobs. I can tell you that the first line of organisational support should come from those in a position to effect change and offer support, the second line comes from the members themselves and the third line in this case comes from the public - who appear to judge members of the Force on a mixture of newspaper reports, rumour and innuendo; but have a responsibility to support their service and demand change if required. Now, there has never before been so much written about the Gardaí, all seemingly negative and that must make the life of a Garda even more difficult. The work of Gardaí has also changed drastically over recent years there has been an increase in violent crime, drugs and firearms offences. Members are expected to meet these issues head-on with what appears to be little support. Even in the face of the research there continues to be little change in acknowledging that extra support is required. Through it all members continue to provide a service that, for the majority of the public, is appreciated and respected. Yet this does not appear to be reflected in the treatment by those who can effect change. It is the firm belief of those who support you that the development of this type of support service is the start of this change. Members have many committed people working on your behalf in the form of welfare officers and the representative associations. Now is the time to work towards the positive and lasting change. 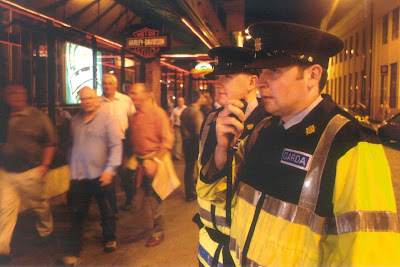 Published Garda Review in 2007. We need a certain amount of stress to function; but what actually is it? Stress is experienced regularly. We require a certain amount of it to get through tasks, keep us focused and motivated. The problems occur when our body and mind is subjected to high levels of stress for extended periods of time. This is further heightened if we perceive certain situations to be life threatening, harmful to our health or to our sense of self. These incidences may lead to distress, a natural defence mechanism designed for our bodies to respond to such perceived times of danger; known as ‘flight or fight’. At such times our body creates high levels of stress hormones such as epinephrine (adrenaline), norepinephrine (noradrenaline) dopamine and cortisol, which has harmful effects; that contribute to increases in blood pressure and blood sugar levels and may cause infertility in women. It suppresses the immune system as well as damaging long term memory. The overall hormonal reaction can wear down both body and subsequently emotions; people under distress can often become emotional, irritable, anxious, have difficulty making decisions and even suffer from symptoms of depression and insomnia. If that weren’t enough, sufferers can also expect biological stress-related illnesses and conditions such as weight loss, lethargy, stomach complaints, high blood pressure and even heart attacks. These issues have devastating effects. It’s obvious why the World Health Organisation’s experts in health and welfare consider policing to be one of the most stress-inducing professions. Garda work is challenging; traumatic events such as death from violence, accident or suicide, as well as witnessing, securing and reporting such incidences the job then expects that the member informs family members of the tragedy. Within policing many different aspects provide extremely stress-inducing incidences and strains that can deeply affect both the life of the Garda and their families. Members involved in routine duties potentially face harrowing, challenging and dangerous situations throughout a shift. Other specialist units dealing with such areas as child abuse and child-related areas are not only challenged by the inherent dangers associated with front line duties but also the challenges they face to their own attitudes, cultural beliefs and personal values. Criminality and social disorder is a side of society most don’t see.Members can be immersed into aspects of society deemed as depraved and violent yet are then expected to finish a shift and enter back into ‘normal’ society; back to family and friends with little opportunity to address the challenges faced on each shift. The operational aspects of policing can be difficult, but when a policeman or policewoman is investigated for their role in carrying out their jobs they can find themselves to be completely isolated and alone to face endless possibilities that may affect them and their families for the rest of their lives. I have worked with individuals on the wrong end of false allegations arising directly from stress-filled working environments and the level of damage to all aspects of one’s life is immense and devastating. The area of disciplinary procedures is an area that requires high levels of support, communication, understanding and pro-active research to address the needs of individuals under investigation. Within an organisation the issues of stress are far reaching and are experienced at every level from the new recruit trying to fit in, to the most senior of management positions charged with the operational duties and the responsibilities to each member. The culture of police work is insular and strong; issues of stress are still, sadly and naively, considered by some to be issues of weakness that are best not discussed or addressed. The truth is simple: the negative affects of stress are very real and will be a major factor in low morale, health and productivity if they are not addressed effectively. The most serious problems faced by the Force may have stress-related roots. Serious aspects of stress are often a symptom of poor employment relations and have serious implications for the individual and the organization. Those that may suffer from the negative affects of stress at senior levels may find it hard if not impossible to change with the times, as change can be very difficult for most to accept and requires individuals to leave their safe comfort zones. A symptom of such for those in a leadership role maybe to compensate by enforcing ill conceived and old rules to the letter of the law in order to keep an internal sense of achievement, while shying away from making adaptations that will add to the process of change, it's easier at times to not challenge and fight for change in an environment that may be negative towards you for doing so. Such issues can result in a breakdown in communication, a dividing of opinion, frustration, anger and a lack of open transparent communication resulting in many more problems. Within such environments the right of the individuals to have their own opinions can be lost and censored. The right of people to change their minds can be seen as a weakness and the right to ask for help can be seen as an inability to do ones job. Fear to challenging such issues can also be great as there is a very real openly reported sense within AGS that to challenge such concerns will lead to you being “gotten” in the future, either by impacting on your promotion options or added and undue pressure to conform or leave the service. This too adds to the overall stress levels, frustration and low moral of the workforce. So for some it’s easier not to make decisions, not to raise your head above that parapet. This way of doing things however understandable not only diminishes an individual’s rights but burdens those prepared to challenge the system for the right reasons to be isolated and ridiculed. The negative effects of stress affect all levels of the organisation and will continue to do so if not addressed. If addressed properly however with acceptance and openness the benefits will be great. Another area not discussed in regard to stress both for the individual and the organisation is the damage it has on one’s sense of self or one’s ‘self concept’. This is one’s understanding of who you are or an organization’s understanding of what it is. We form our self concept through introspection (looking inward at oneself) and through feedback back from others (the Force has had considerable negative feedback through the press). An example of this conflict might be when individuals choose to drink or smoke to excess in order to attempt to cope with such things as stress. They know that this is both unhealthy and does not help, yet tend to justify it in order to try and elevate the sense of inner conflict. This spirals into a cycle of further unhappiness. The International Labour Committee reviewed a study of potential sources of stress among Scottish police officers which indicated that the stressors stemming from organizational aspects, such as perceived staff shortages, inadequate resources, time pressures and lack of communication were more significant than those relating to police work. It found that “officers under stress could pose a real threat to their own safety and that of others”. Coping mechanisms to avoid thinking or dealing with such conditions include over working, using alcohol, self medicating or ‘just getting on with it’. This in part I believe extends from the culture of police work which covertly dictates that signs of genuine stress and difficulty are considered to be signs of weakness, yet for someone to acknowledge their sense of stress and difficulty is a sign of great strength and personal awareness. The role of a Garda requires emotional health and well being. People with good emotional health are in control of their thoughts, feelings, and behaviours. They feel good about themselves and have good relationships. They can keep problems in perspective and act with clarity and insight. Good mental health is a key piece of equipment, the one ‘dependent variable’ that you rely on daily. Stability of thought allows you to make quick, appropriate decisions and deal with difficulties as they arise. Without this stability the frustrations and stressors of the job may make the decision process difficult and may result in doing things based on stress and frustration arising from the day to day duties associated with the job. The management of stress and providing counselling is a key issue for emergency services workers. Many can be seriously psychologically affected by incidents of trauma specifically related to death, injury, contracting diseases and life-threatening situations. For those who have survived and got through such incidents there can be often times of avoidance and difficulty accepting that they may have been affected, followed by periods of stress or even acute and post-traumatic stress disorders. A study carried out on emergency service workers in New South Wales reported that about “30% of respondents had experienced stress severe enough to seek help, but 39% of these did not seek help for various reasons. Only 9% reported that the information on the availability of such help was given to them during initial training. There are many things that cannot be done to make the job of policing easier but there are the basics that can be in place; more professionally-trained support officers by way of a better supported EAP Service, proper and up to date equipment, more pro-active training in the areas of stress management and communications and proper working conditions. For An Garda Siochana there is an essential requirement and need for an Internal Garda Specific Unit of Trained non member Psychologists/Therapists providing individual Confidential Therapeutic Support designed to care for Police Officers and their families in complete confidence, to attend where possibly scenes of trauma and crisis to support members and to advise on policy in order to support the future requirements of all members in need. Employers have a duty of care to their staff to assess the risk of stress related ill health and to control that risk, this requires the identification of risk at source which has been raised in research carried out by myself, health and safety research carried out by Dr Garavan of Limerick University and other work such as research carried out Prof. Cary Cooper in which he confirms that “stress at work does exist” and that one in five people are stressed at work. It is important to note that a Garda Specif Confidential Therapeutic Support Service for which I support will not counteract the full extent of problems faced, but it will go a long way to establishing change and supporting those that need it. However, the focus should never be removed from the responsibilities of the organisation to deal with their duty of care and the fundamental issues of the emotional health and welfare of their employees. Although, if in place it should be madatory for members who experience trauma during their working shift to have to attend therapy as a matter of course, in this regard the stigma of seeing a therapist is removed completly. The areas of unhappiness, workplace stress and the need of people to seek support should not be seen as an individual problem but as an area that needs to be addressed as an organisational issue. These are not disciplinary issues or issues to be ignored, it takes a strong mind to know when to ask for support and it takes a committed and caring organisation to embrace change and offer the most effective support possible knowing that it will continue to enhance the overall and exceptional service offered. Please see the related articles in regard to Stress and Policing and Stress and the Emergency Services by either clicking here or looking under November. Contact me or leave your comments in regard to any issues raised. 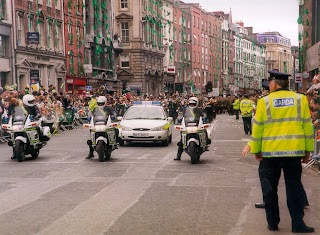 Gardai hold the line against protesters in Dublin last month. A survey found 68pc of gardai want official counselling and support services to deal with stress. A CONFIDENTIAL THERAPEUTIC SUPPORT and counselling service for stressed gardai is needed to avoid legal action by officers, it was warned last night. Dermot O'Donnell, president of the Garda Representative Association (GRA), said that unless some "real intervention" is taken by the Government or some special mechanism put in place, gardai could follow the example of officers in the North who are suing the Chief Constable of the PSNI. Mr O'Donnell said much stress suffered by the country's 12,000 officers is due to bullying in part in the workplace. "Bullying is the greatest single source of stress for gardai in the workplace. It is horrendous and hideous in nature. Policies and procedures need to be put in place at every rank level to stop this," he said. He noted anecdotal evidence that at least one officer has taken his life due to work stress, centred around bullying. He referred to research carried out by Mark Reddy, a counsellor for 13 years, who since 2002 has run a voluntary support service for gardai. His research showed that 68pc of officers questioned in a survey indicated they wanted an official support service. Alongside having to deal with murders, other violence, accidents and serious personal injury, the survey found workplace bullying to be a serious issue. The survey, 'The Need for a Confidential Support Service within An Garda Siochana', shows that a staggering 76pc of officers questioned at several stations in Dublin do not feel they are supported in their jobs. A further 71pc said they would have difficulty sharing problems of stress with colleagues. One question asked how officers cope with stress in their jobs. None of the respondents indicated they would seek support from senior officers, 36pc indicated they would have a few drinks, 29pc said they would talk things through with family or a partner, and 41pc said they just get on with the job and hope the problem will pass. A further 83pc of those questioned in the survey said they felt fearful at some point when working, and some 71pc said they felt isolated from the public. "This in itself directly affects the mission of the Garda as a service for the public. An Garda Siochana requires a comprehensive therapeutic support service; a service that offers each member, and their families if required, the opportunity to express any concerns and difficulties they may have, in safety and in confidence," Mr Reddy said. A service that would bring about positive and lasting change on the issue was needed, he insisted. This would not just be individually important to gardai but would benefit the organisation as a whole, he continued. "Such a service would not be a huge strain on the Government's financial purse." Mr Reddy said the issues of stress and therapeutic support are considered vital in many police forces throughout the world. In the UK there are a number of welfare associations catering for the needs of officers. The Gardai as a unique service require a unique solution which intails the establishment of a stand alone government confidential therapeutic support service specifically designed for the Gardai Mr Reddy stated. In the majority of UK forces there are internal counselling and therapeutic support services offering confidential backing to those officers in specialist roles, or anyone who needs it. The services are supported and funded by management and the British government. In Sweden, the welfare and wellbeing of rank-and-file police officers is vital to their modernisation process. The research highlights the need to take the matter seriously, Mr Reddy said. "Hopefully this will add an incentive to move in line with the many police forces throughout the world - and this will happen before officers here suffer enough to seek compensation like their colleagues in the North," Mr Reddy added. "The results indicate a belief by some that members are not being respected, understood, appreciated or supported by management." Author: Sarah Murphy Sunday Indopendent. Police took almost 20,000 days off sick with stress over the last three years, costing the tax payer at least £1.2 million. Rank-and-file officers said today they were "working themselves into the ground" then having to spend months off due to the strain. Sussex officers took 18,755 days off between January 2004 to December 2006, due to stress, depression and mental fatigue - the equivalent to one officer being off work for 51 years. Based on the salary of a constable the force would have paid at least £1,181,400 to officers on sick leave - enough to pay the wages of about 20 extra PCs each year. However, the real figure is likely to be much higher with staff being brought in to cover the absentees and National Insurance costs take into account. Brian Stockham, chairman of the Sussex Police Federation, said the "wear and tear" of policing was a big issue. But critics said the time taken off for stress was alarming given that forces are spending thousands on psychologists, psychiatrists and counsellors. Figures, released under freedom of information laws, show that 6,466 days were lost to stress, anxiety and depression, in the last financial year alone. This is the equivalent of every one of the force's 3,178 officers taking off two days a year. Mr Stockham said some officers were so committed to cutting down crime in the region, their own welfare was being ignored. He said: "You can understand these figures have a great relevance to the officers out there. There are a lot of officers who are doing themselves no good by working themselves into the ground". "The nature of police work is that you are involved in confrontation regularly and it has a wearing effect." Improvements in detection rates and higher numbers of criminals being brought before the courts were all adding to the strain, he said. Mr Stockham said: "Achieving those improved results costs in terms of human endeavour." Some of our people become so committed to the task that their own health and well-being are being ignored." Because of financial constraints we've not been able to support their welfare and that has a detrimental effect on moral. "These officers are basically taking a lot of wear and tear." Last year the Sussex force completed a stress poll among officers. All of the 62 per cent of staff who responded agreed their jobs were stressful. Since the report extra resources are being pumped into stress awareness training and reviewing bullying and harassment policies. Christine Melsom, founder of the anti-council tax campaign Is It Fair said: "Of course, the council tax payer is having to pay for all these things. I think the police should tighten their belts up a bit and cut down on all these absentees. "I've long had the theory that if police officers are not well enough to go out on the beat surely they are able to do some very valuable work in the office, helping to cut back on the amount of civilians required." Over the last financial year £45,000 was spent on the force's councelling scheme, open to all Sussex Police personnel and their partners. But more needs to be done to stop bobbies pushing themselves too far, Mr Stockham said. He cited the case of one local officer who was being treated for stress and told by his psychiatrist he had "the worst case of professional burn-out he had ever seen". Mr Stockham said: "Our officers may be delivering greater performances but we're suffering as a result. "But if you can't do confrontation you shouldn't be a copper. "I don't think the Sussex force is more stressed than any other in the police service. It goes hand in hand with the job." A spokeswoman for Sussex Police said: "There are a variety of reasons why Sussex police officers take stress-related sickness absence, both work-related and personal. "Through its Health, Safety and Welfare Unit, the force has specialist health and well being services available to its police officers to support them and their families in both aspects of stress-related sickness absence and also more pro-actively, to help them remain at work." Beverly J. Anderson, Ph.D., B.C.E.T.S.Clinical Director, Metropolitan Police Employee Assistance Program (MPEAP)President, Beverly Anderson Associates, Inc., Washington, D.C.
More than any other occupation, law enforcement is an emotionally and physically dangerous job. Police officers continually face the effects of murder, violence, accidents and disasters. Rotating shifts, long hours and exposure to life's tragedies exact a heavy toll on police officers and their families. The results are alarming: high divorce rates, suicide, domestic violence, heart attacks, cancer, depression and alcoholism. Law enforcement, the media, and the public foster the myth that police officers can experience trauma and violence without suffering any ill effects. Research has shown just the opposite: when stressors are prolonged and overwhelming, an individual's ability to cope becomes difficult. Suicide is a serious problem that is not often talked about in police circles. It is very hard, if not impossible, for us to understand why someone chooses to end his or her life. Shock and disbelief are usually the first responses to an officer's suicide. Reactions to suicide can sometimes be irrational and destructive. Remember, no one can "second-guess" or take responsibility for another person's reactions to the events that are happening in his or her life. And suicide is not the only response to life's problems. Suicide is the ultimate act of violence that hurts many people around the victim. Anger and guilt are two very natural and normal responses to suicide. Yet, these emotions are very difficult for police officers to talk about. However, many friends and family members of the suicide victim talk about having feelings of guilt for not preventing the suicide. They believe that they should have seen it coming. Sometimes suicide is an impulsive act, one that has not really been planned out by the victim. A major difference between the general public and police officers is the immediate availability of a weapon. When a police officer decides to commit suicide, he or she doesn't have to go out and get a gun - the means are available at all times. In fact, the number "one" method of suicide by police officers is their gun. Anger is normal after suicide and should be expressed - it's part of the grieving process. Sometimes the anger is directed towards the victim. It doesn't mean that you didn't love the person because you're angry. I don't believe that people who commit suicide understand the pain it causes for family and friends. For children, a parent's suicide leaves a lifetime legacy of torment. Many child survivors have told me that their parents didn't love them enough to stay and persevere through life's problems. Sometimes anger is misdirected at family members, friends, colleagues or organizations. Anger can be very isolating since it can distance people from each other. It's not pleasant being around someone who is always angry. Talk about your anger to someone who can help you understand it. Otherwise you may say or do things that you will regret later on. You have every reason to be angry - that's okay. (Anger is often a common emotion for police officers anyway). What's not okay is taking out your anger unfairly on yourself or others. Your anger is not going to go away on its own. Unless you find a way to express it, you may suffer emotionally or physically from its effects. You could become verbally abusive to citizens or family members. When you find yourself short on patience, quick to lash out and criticize or lethargic and emotionally down, it's time for professional help. Another response is emotional numbing where you just don't feel anything. Reactions after a violent suicide, especially for those who find the person, are more complicated and intense. While most police officers have seen the aftermath of violent suicides, it's much different when the victim is a fellow officer. The shock and horror upon discovering the victim and the image that is engrafted in the mind can be overwhelming. Grief becomes more complex when this occurs. The mental picture will remain with the person sometimes accompanied by flashbacks, nightmares and thoughts. Police officers all too often stuff their feelings so as to not appear weak. But emotions are normal and in order to heal, you must unburden what you have had to endure - you must tell the story. Discovering the body of a friend or loved one is shocking and painful - an experience that you will never forget. It is important to share the powerful emotions that this experience brings. Be gentle with yourself and your fellow officers. Grieving is a long process - one that is very personal and sometimes difficult to understand. Talk to friends, co-workers, and family about the suicide. While traditionally this is very hard for police officers to do, it's a vital part of healing and recovery. Unlike a "line of duty" death, police suicides are often enshrouded in shame and silence. While social attitudes have become more informed about suicide, there remains a stigma that people must deal with. All too often people are quick to form judgments. Survivors are left to somehow make sense of this terrible tragedy maybe even feeling responsible in some way for contributing to it. It is important to discourage rumors about the "reason" for the suicide. While seeking to place blame on others is a natural response, it's not helpful in the long run. Besides, life is very complicated and there are usually several contributing factors in a suicide death. To think that one person or one event is the sole cause is not consistent with what we know about suicide. We can never know for sure what is going on in another person's mind any more than we can know all the reasons that cause a person to choose suicide. No matter what your beliefs or feelings are about suicide, funerals are an important ritual for closure and acceptance of the reality that the person has died. It is a final "goodbye" that we share with each other. There exists among police officers a very special bond. One reason for this is that police officers are isolated from the rest of the world by virtue of the kinds of work-related events they experience. They are bonded in tragedy and the knowledge of how cruel life can be. The everyday stress of being a police officer can lead to serious difficulties when you add personal problems, too. The "image armor" that the public and the media portray also places a burden on police officers. But police officers have problems like anyone else. When a fellow officer is experiencing personal problems, get involved by suggesting to him or her that help is available. A major contributing factor in police suicide is marital and relationship problems. It is also the number "one" reason why people come to the MPEAP. The job of policing affects an officer's family more than any other job I know. Since 1988 over 6,000 MPD Officers, officials and family members have come to us for counseling. There is no cost to you and the funds for MPEAP do not come out of your dues. The MPEAP is a Union - negotiated benefit that is privately contracted and staffed by licensed therapists with over 70 years of combined clinical experience. All counseling is confidential except in life threatening situations. Officers are informed about this policy before they talk to us. When an officer is suicidal, the MPEAP's policy in all cases is to remove the officer's weapon and provide medical intervention immediately. There really is no other way. Many people have considered suicide at some point in their lives. This does not mean that they are "suicidal." Conversely, there are some people who do not talk about suicide before taking their lives. Each case is unique and not always easy to predict despite the warning signs. However, the early warning signs in and of themselves indicate that intervention and/or counseling may be warranted. "My friend has survived a traumatic event and I want to help them. Wouldn't the best thing be to just take them out and get them drunk?" This is a common question posed by many friends, neighbors or family members. Alcohol is ubiquitous in our culture. It plays a part of many family, social and religious celebrations and traditions. Confusion about its safety occurs because it is a legal substance for people 21 years of age and older. The use of alcohol or minor tranquilizers after a traumatic event used to be a fairly standard treatment protocol. However, the research over the last decade clearly shows the deleterious effects of alcohol to a traumatized person. Alcohol produces changes in their neurochemistry and nervous system that are ultimately harmful and exacerbate, rather than reduce, the symptoms of traumatic stress. Emergency room doctors no longer prescribe minor tranquilizers to trauma victims as a standard treatment protocol, as they did several decades ago. Despite this new knowledge in the medical field, myths and misinformation still abound. Every one of us knows someone whose life has been tragically altered by alcohol, yet the idea that it would be beneficial to a traumatized person, somehow seems to be so ingrained in our culture that it continues. In addition to the deleterious effects on the nervous system, the traumatized person is also more vulnerable to psychological addiction to alcohol or substances. The problem is that the temporary numbing from getting inebriated becomes attractive to them. They then begin to anticipate the use of substances to prevent themselves from feeling anything. In this altered state they do not heal. When they finally become clean and sober, they will still have to face all the feelings only their healing process will be more complicated and delayed. So how do you know if your drinking, or that of someone you love, is getting out of control? "Social drinking" refers to patterns of drinking that are accepted by our particular culture, but is not necessarily free of problems. "Moderate drinking" is the term used by health experts to describe drinking patterns that do not cause problems for the drinker or society. It is tricky to make a specific set of guidelines because alcohol affects people differently. However, the U.S. Department of Agriculture and the U.S. Department of Health and Human Services have developed these general guidelines: "Moderate drinking" is no more than one drink a day for most women, and no more than two drinks a day for most men. A standard drink is generally considered to be 12 ounces of beer, 5 ounces of wine, or 1.5 ounces of 80-proof distilled spirits. Each of these drinks contains roughly the same amount of absolute alcohol--approximately 0.5 ounce or 12 grams. These guidelines exclude the following persons, who should not consume alcoholic beverages: women who are pregnant or trying to conceive; people who plan to drive or engage in other activities that require attention or skill; people taking medication, including over-the-counter medications (including SSRI's which are often recommended in the healing process for PTSD); recovering alcoholics; and persons under the age of 21. Alcohol use also is not for people with certain medical conditions such as peptic ulcers, among others (NIAAA, 1992). What if you have drinking behaviors that are not within these limits? First, it is important to honest with yourself. Researchers believe that part of the disease of alcoholism is a paradox, that is the more you are out of control with drinking, the less awareness and ability you have to be honest with yourself. Your brain plays tricks on you, and there is denial of the problem despite the loss of relationships, sometimes even careers. There may, however, be tiny "windows of opportunity" in which you clearly see reality. When this occurs, get help immediately! Call and talk to a drug and alcohol addiction specialist that also understand the treatment of trauma. It is important to seek help before you talk yourself back into a state of denial. If you are trying to help a loved one, get help from a treatment center to plan how to intervene. Most treatment centers offer classes, groups or one time individual support for family members at no cost. They also offer help for someone living with an alcoholic or drug addict. The trauma will not get better and you cannot heal while using drugs or drinking heavily. The first thing to attend to is to get clean and sober. The next thing is to deal with is healing from the traumatic event(s). People often feeling "stuck" in their healing process when they have been abusing substances or drinking. Know that you will begin to heal faster once you are clean and sober. Don't give up hope- there is lots of help available. Police officers have one of the highest suicide rates, high divorce rate and they are problem drinkers. These facts are warning signals for unseen problems that are not being handled. Researchers use suicide, divorce and alcoholism rates as three key indexes of stress in a group of people. Police officials need to recognize the importance of these facts and provide policies and programs to reduce stress in these areas.Police officers encounter stressors in call after call which sap their strength. Police work lacks balance. Most jobs have a healthy balance; the good things are mixed with the bad one. Not so in police work. In call after call, officers only see criminals or people making fool of themselves. For more information on "police officer stress"
Understanding the stressors and having relevant information on stress reduction are of prime importance in identifying your problem. Effective stress management is possible only after you have passed through the identification step. Certain stress management tools, stress management games and stress management course are also available to come to your rescue.Officers and supervisors should be taught about the symptoms of stress, personal stress management and effects of job stress. Proactive stress management training helps ward off stress when officers encounter it. Family life can be helped in several ways. Counseling through the psychologist and chaplain should be available for family members. Orientation seminars for spouses will let them learn about the department, first hand. They give officers and their families a chance to sit down in a congenial atmosphere with the people who appreciate them.Chronic stress causes people to regress and numbs people's sensitivity. They must stop feeling or they won't survive. If they keep their normal sensitivity, they would fall apart. Police officials should stop distinguishing between personal problems and workplace stress. All police officer stress needs to be defined and combated, not just a few obvious ones. This is an American Article sent to me in order to continue to highlight the very really need for the Irish Police Service to be afforded a stand alone Garda Confidential Therapeutic Support Service, run by non member professionals providing a high level of therapeutic support and care to both members of the force and their families. This is the Conclusion from the First Report written by Andrew Beal, 2003. The Tiltle is Dealing with Stress in the Emergency First Responders Part One. In the modern working environment all EFR organisations are plagued by management solutions and reforms, as is most of the public sector. Effective control of all EFR organisations must take into account, but not necessarily mirror the latest management fads and they must apply government led reforms wisely. Management practises and reforms that fit neatly in industry are not so comfortable when applied to the emergency services. This is apparent when it comes to trying to quantify the services 'effectiveness' in the community. It is hard to quantify the deterrent effect of the police, the reduced levels of fire damage as a result of the timely intervention of the fire-fighters or, the shortening of patient recovery time as a result of initial application of medical skills by competent and contented medics. Sadly much of the recent reform programmes have, as a by-product, general workplace 'Stress'; poorly managed this can wreak havoc in EFR organisations. This workplace stress must also clearly be separated from incidences of PTSD; greater stress is generated in the EFR workplace by poor management practices and attitudes than the horrific nature of the job. There is clear evidence across many disciplines that negative-stress will materially affect the provision of service at point of delivery therefore, if EFR organisations wish to improve their quality of service they must reduce stress; whatever its source. To achieve this a package that draws heavily upon Total Quality Management (TQM) tools and methods should be employed simply because application of TQM will be beneficial to EFR in all facets of the organisation (Southworthy & Judd, 1997; Eastham & Walz, 1992; Arbuthnot, 1995:15). Employing a system of work and a culture of acceptance then maybe the key to relieving some of the problems of stress in EFR organisations. In the next article we will look at just such a management approach. This is a related site for information on PTSD, you can also research any other condition or therapy associated with any of the articles on this site. Feel free to contact me on STRESSKILLS@GMAIL.COM in Confidence. Please Click on the related articles and links on the left of this page. Mrs Daw was employed as a merger and acquisitions payroll integration analyst on a salary of £33,000 per annum. She had 13 years' service. In June 2001, she suffered a breakdown caused by chronic depression arising from her excessive workload. She issued proceedings against her employer for damages for personal injury arising from the employer's negligence, breach of statutory duty, and duty of care. At the initial trial, the High Court judge held that Daw's work was rated as outstanding by her employer. But her reporting lines were confused, and prioritising the demands made upon her by different managers was problematic. Although Daw had complained about her workload in e-mails, and was found in tears by one of her line managers, no urgent action plan was put in place immediately to reduce her workload. The original trial judge assessed compensation for personal injury caused by stress at work and for loss of earnings in excess of £134,000. Intel appealed on the basis that Daw had free access to external confidential counselling, support and medical assistance, which she failed to use. The Court of Appeal held that an employer's short-term counselling service could not have reduced the risk of a breakdown, since it did not reduce her workload - the cause of the stress. At most, such a service could only have advised the employee to see her own doctor. This was insufficient to discharge the employer's duty to provide a safe working environment. While it recognised that Intel could not have reasonably foreseen Daw's breakdown in health by virtue of her medical history, this was not considered to be relevant. This is an important decision, since the Court of Appeal has made it clear that where an employee is experiencing stress relating to excessive workloads, the presence of a workplace counselling service will not automatically serve to discharge the employer's duty of care in stress claims. Even if an employer has systems in place to support staff who are suffering from work-related stress, this is no substitute for putting an action plan in place to reduce their workload. Failure to do so will result in the employer being found to be negligent. A failure by management to combat work-related stress - when made known to it - is likely to lead to a finding that the employer has failed to discharge its duty of care owed to its staff. The court also accepted that the employer did not have prior knowledge that the employee was susceptible to work-related depression. But despite this lack of knowledge, the employer was still held liable, because it was aware of Daw's excessive workload. Employers must put measures in place to reduce workloads when receiving complaints from staff who cannot cope. Otherwise, you will risk paying considerable damages in claims for personal injury caused by the working environment. A lot has changed since Professor Michiel Kompier found that Ireland was relatively untouched by stress in 1996. These days we are working harder and faster and many of us are feeling the pressure. THERE HAVE been a fair number of stress-related court cases in Britain since the groundbreaking ‘Walker’ judgement in the mid-1990s, but little significant activity in the Irish Courts. That is until now. The Walker case concluded with a £175,000 sterling award to a social worker for stress-related illness. Mr Walker suffered two nervous breakdowns and the UK court found his employer – Northumberland county council - liable because it was aware of the risk after his first breakdown but took no steps to address it. Until last year, Irish legal activity on workplace stress cases was relatively insignificant. Few cases formally entered the legal arena, although it is believed that many as 25 stress-related claims were settled out of court. One case, Quinn -v- Servier Laboratories, is thought to have been settled for a six-figure sum. In 1999, the Employment Appeals Tribunal made an award of over £26,000 to a supervisor in a sausage factory after it found she had been unfairly dismissed during a period when she was on sick leave as a result of high stress levels. Concern about the legal implications of stress was growing among employers. Then, at the end of 2000, the High Court made what are thought to be the first court awards in bullying and stress related cases. These will really concentrate minds. In the first a welder was awarded £51,000, of which £50,000 was attributed to stress and health problems he suffered as a result of serious intimidation. The additional £1,000 was for loss of earnings. The key aspect in this award was the link between bullying and stress. The second case concerned a Garda, who was awarded over £52,000, £40,000 of which was compensation for stress and anxiety. Most of us experience stress in our lives and at work. A certain level of stress is acceptable – even positive - but it’s a serious matter when it crosses the line and threatens health problems. The Health and Safety Authority (HSA) says workplace stress arises “when the demands on a person exceed the capacity to meet them.” And it says most stress and stress-related illness is preventable with good work design, safe work practices, and adequate resources. Research shows that all workers can suffer from unacceptable stress levels. Although senior managers are under pressure, they also have control over resources and workplace organisation – and the power to deal with problems. It is often those further down the pile who suffer most because they have less control over work demands, work organisation and resources. Employers are legally obliged to control workplace stress, just as they must control any other workplace health hazard. The 1989 Safety, Health and Welfare at Work Act obliges them to identify and safeguard against all risks to health and safety. All places of work must have a safety programme written down in a safety statement. The potential hazard of stress must be addressed when compiling a safety statement. Under the legislation, your employer has a ‘duty of care’ to all employees and must consider whether stress is a risk when they identify health hazards and assess risks. If a risk is identified, your employer is obliged to adopt measures to eliminate or control it. There is now a massive literature on the causes and effects of stress, including clear advice from the HSA on potential triggers. The Agency says stress can effects us at four levels: Emotional (causing fatigue and anxiety), cognitive (leading to mistakes and accidents), behavioural (possibly manifest in smoking, excessive drinking or over-eating) and physiological, with potentially serious symptoms like raised blood pressure, heart disease, reduced resistance to infection, digestive problems and bad skin. The HSA says that safeguards and controls must be implemented primarily at organisation level - basically in the specific workplace. This may mean changes in working conditions, social support, career development and training, management support, communication, and control over workloads and work organisation. In some cases, these measures may need to be supported by a programme of individual coping strategies. Many trade unionists and practitioners hope that stress and bullying will be specifically identified as occupational hazards in amendments due to the health and safety legislation. In any case, the recent hefty High Court awards are likely to drive many employers to seek legal advice.